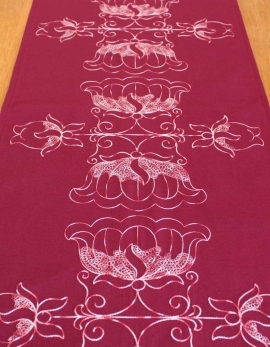 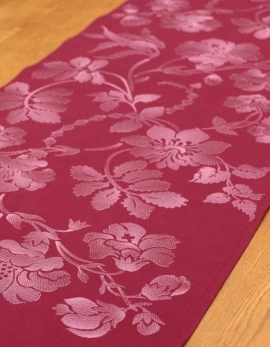 Table runner made with soft and thick pure cotton, burgundy colour, embroidered with mixed white and burgundy colour threads. 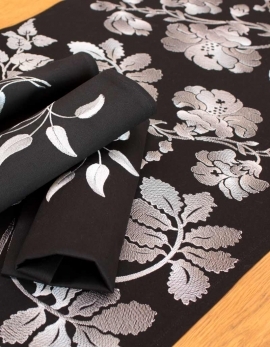 Table runner made with soft and thick pure cotton, black colour, embroidered with bright silver colour thread. 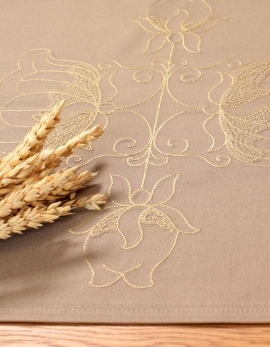 Table runner made with soft and thick pure cotton, beige colour, embroidered with bright straw colour threads. 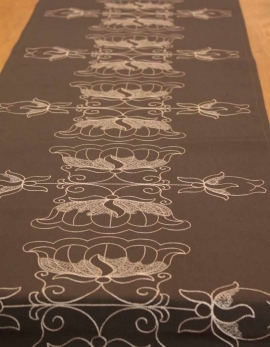 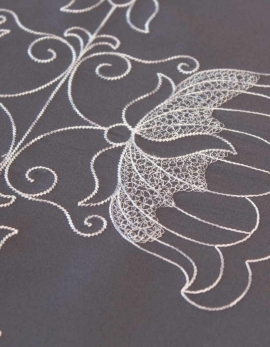 Table runner made with soft and thick pure cotton, grey colour, embroidered with silver grey color thread. 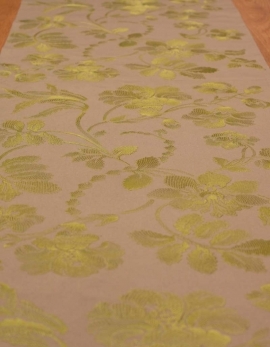 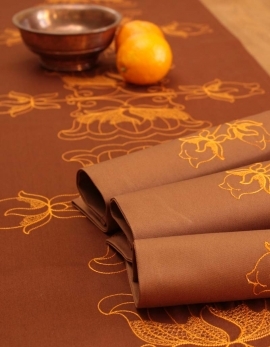 Table runner made with soft and thick pure cotton, dark beige colour, embroidered with light beige color thread.